Tina Curtis - Mowbray & Son, Inc.
Tina Curtis graduated from high school in 1988 from Hahnville High School in Boutte, Louisiana. Tina joined the U.S. Navy in 1989 and served during Desert Storm as an Anti-Submarine Warfare Technician and then as an Aviation Electronics Technician. Tina joined the Mowbray & Son Inc team in March of 2012 as a Project Procurement Coordinator. 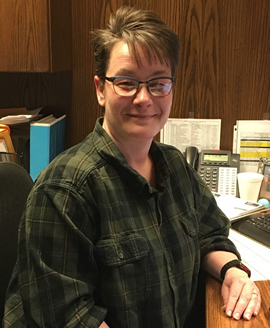 She has worked on projects at Minot State University, Lewis and Clark Elementary, the new Nedrose Public School, John Hoeven Elementary School, the Ward County Office Addition, and several projects at the Minot Air Force Base.